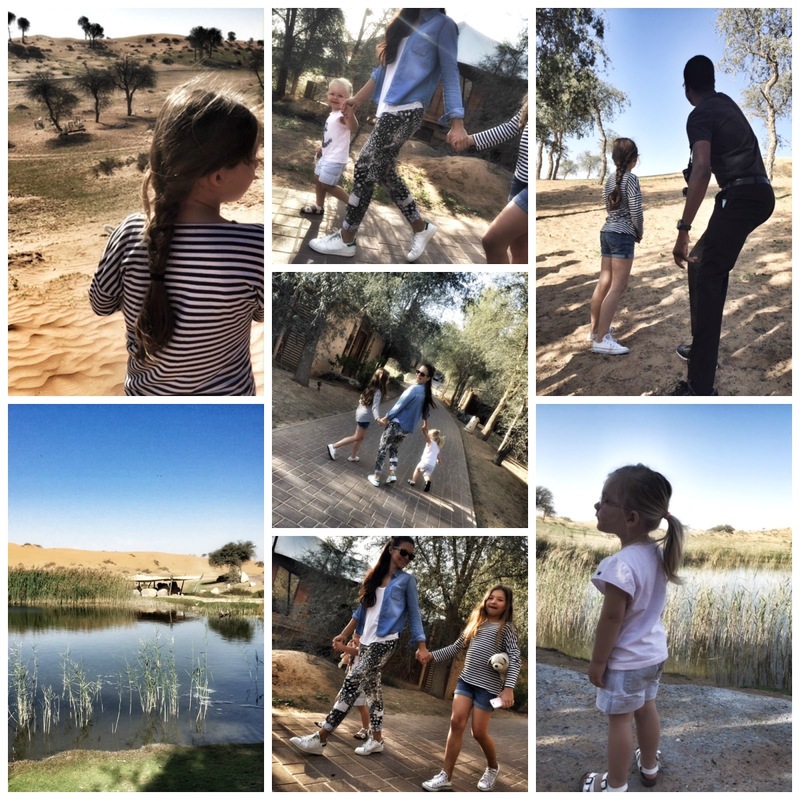 Last weekend, we headed to the desert for a family retreat in Ras Al Khaimah. Not our first time in the Emirates, we always had fond memories of this side of the UAE. There is an enchanting tranquil atmosphere that brings us back. 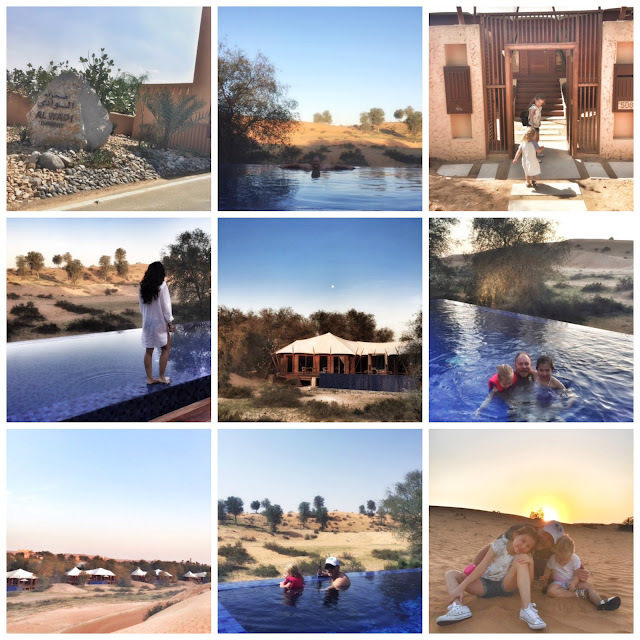 This time, we had the lovely opportunity to stay at the newly launched Al Wadi Desert a The Ritz-Carlton Hotel property. Since January 2016, The Ritz-Carlton Hotel Company signed a management agreement with RAK National Hotels and Al Hamra Real Estate Development for the new property, marking the brand’s entry into Ras Al Khaimah. The beautiful landscape, rolling dunes, warm light, rugged mountains, wildlife and magical sunset offer the perfect set up for a family stay in a pristine natural setting. Only one hour drive from Dubai, the northern Emirate holds many traditional wonders. The last 10 minutes drive into the Resort, set the tone for beautiful surroundings. Earthy colours, warm glow from the Arabian sun over the dunes and an inviting original architecture. We stayed in one of the amazing Al Khaimah tenanted pool villa. Have a look! The very large signature villas are one of best feature of the resort. Traditional tented villas with an arabic decor in a modern and plush way. We loved the large wooden deck with the dark blue infinity pool over looking the desert. Truly blissful. We enjoyed our villa so much, we decided to stay in for dinner to catch the last rays of the sunset over drinks by the pool followed by a traditional arabic dinner on the terrace. Perfect for family with young children. 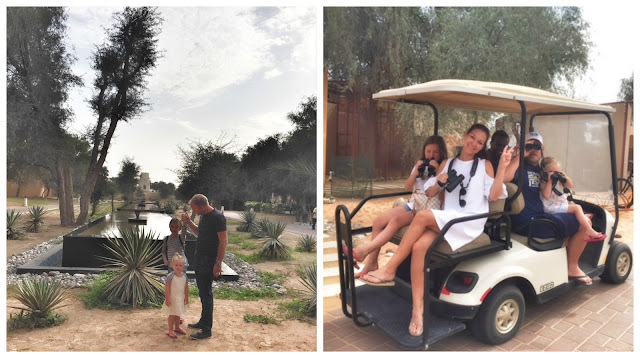 The resort offers many activities for the family based around the Al Wadi Nature Reserve, the perfect opportunity to learn and connect with the surroundings. Make sure to contact Guest Services to schedule your set of activities. Here's some of the experiences we got to enjoy as a family. Sitting on lounge deck facing the lovely desert with the sun setting down in the dunes, we watched a falcon, hawk and owl show. It was amazing to see those raptors up close, to hold one and learn about the species and the training technics. We enjoyed our visit to the stables and peek into the future animal sanctuary that will soon be a new added feature to the resort. 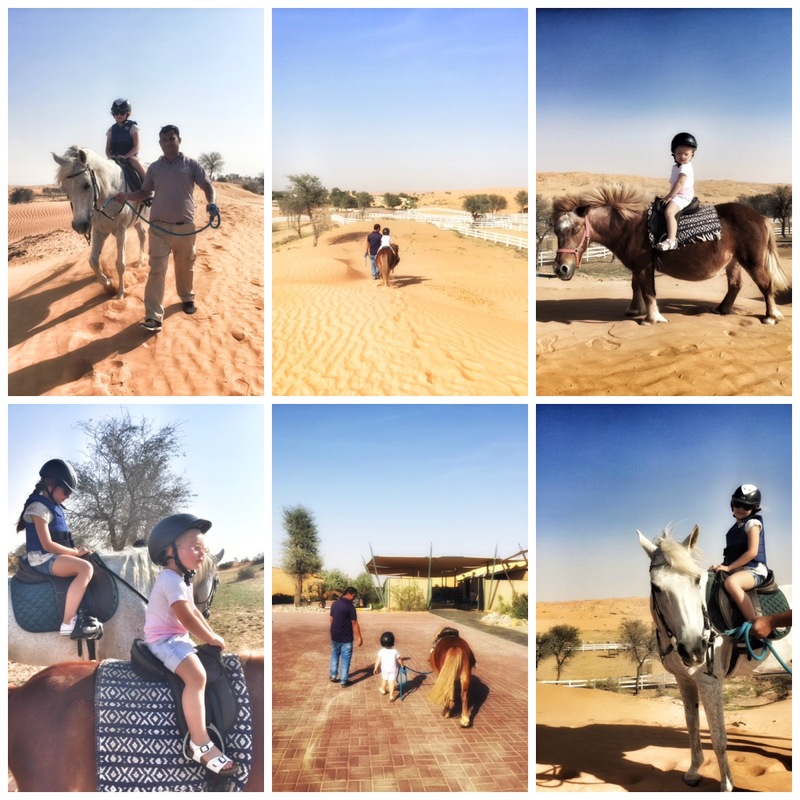 The girls got to ride into the desert on a horse for Luella and an adorable Shetland pony for little Josefin. It's a nice experience for kids, definitely some fun memories for the children to remember. The Ritz Kids Program is another family feature that the resort offers guests. 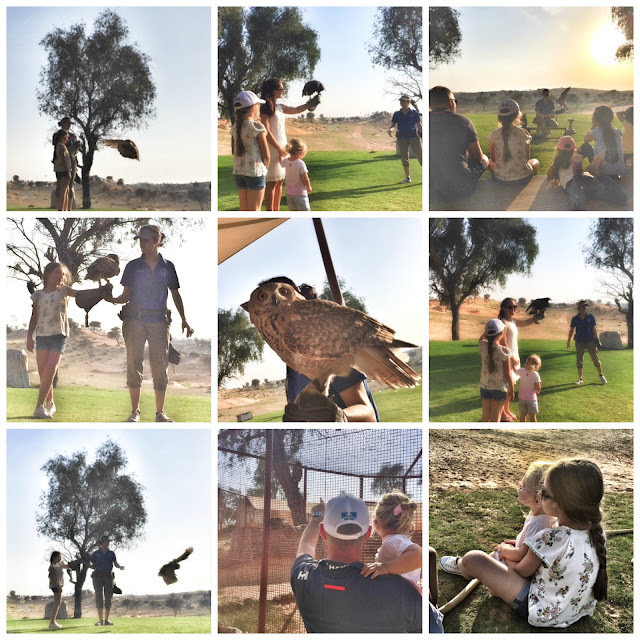 A program to keep the little ones busy by immersing them in adventure, exploration and fun educational activities like camel rides, kid archery, mini falconry and owl interaction, fish feeding, trail tales and feathered friends bird watching tour. 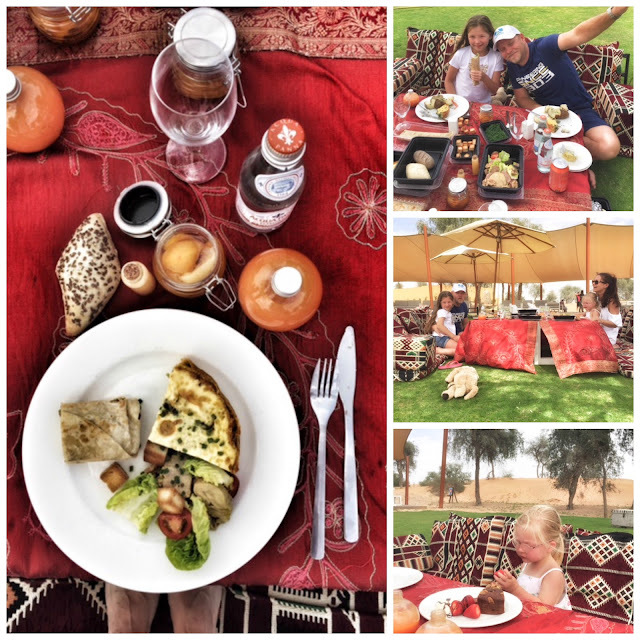 Our food experience was great from villa dining on the terrace by the pool, to gorgeous buffet breakfast overlooking the waterhole, to our family picnic. Another nice spot for sunset or after dinner drinks is the rooftop lounge Moon Bar with shisha, pretty lighting and 360 view of the desert. 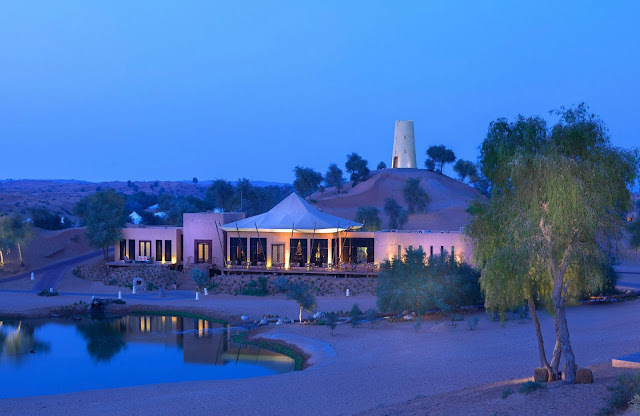 - Beautiful setting in the desert, close to nature away from the busy an glittery Dubai life. - Great guest service and choice of activities for the family based on the desert, local culture and traditions. Fantastic and fun experience for children to learn because "Not every class room have four walls". - Beautiful private Arabian tented villa, large enough to accommodate very comfortably our family of four. All villas have private pool. - The resort is under a transition phase and will be fully refurbished as a Ritz Carlton Property after the summer. We are looking forward to see the upgrade to the already very beautiful resort. - The sister property Ritz Carlton Al Hamra Beach, located on a private shore in Ras Al Khaimah is under total refurbishment. Another exciting project we look forward to experience after summer. We LOVED Al Wadi Resort, a tranquil oasis in the Ras Al Khaimah desert. Thank you for your hospitality Ritz Carlton team!